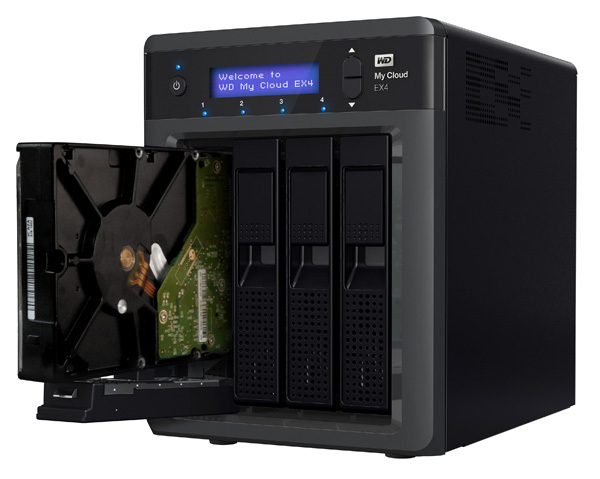 Larger-capacity Western Digital Red models designed for use in housings up to eight bay – a 48TB NAS, anyone? Must be some kind of synchronicity: just as I was looking at my existing music storage system and working out how long it would be before the existing 3TB drives were full, along comes a press release from WD announcing its ‘made for NAS’ Red drives are now available in capacities up to 6TB. 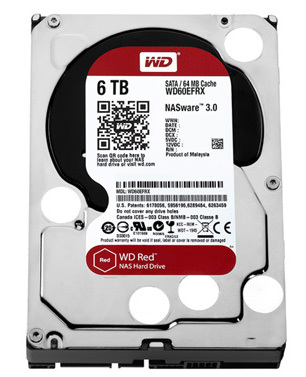 Two new Red drives – the £199 5TB and £240 6TB – are now available, joining the existing line-up of 750GB-4TB models: the new Reds have an enhanced version of WD’s NASware technology to improve performance and integration, and can be used in network attached storage housings of up to eight bays. The red drives are designed for 24/7 use in NAS applications, and are designed to resist the heat and vibration found in such usage. If you want to run an even bigger NAS array, there are three new Red Pro drives, designed to support housings with with eight to sixteen bays. The 2TB Red Pro is £124, the 3TB £149 and the 4TB £199. The Red drives have been tested for compatibility with housings from a wide range of vendors including D-Link, Netgear, QNAP, Synology and Thecus, and of course will also work with WD’s own My Cloud EX2 and EX4 housings (below). For more on building NAS storage for your music collection, have a look at this piece I wrote for Gramophone’s Listening Wirelessly section almost two years back when the first WD Red drives were launched. I’m happy to report that the four 3TB Red drives in the QNAP housing I used for that article, and the couple I put in another QNAP housing to use as a backup, have performed faultlessly since I first started the systems up in November 2012. The Western Digital unit pictured above is reliable now that WD has revised the firmware and very well priced, but rather slow. The Red drives are 5400 RPM, which, no doubt, contributes to their longevity, although I had a 4TB Red drive fail after a few months. I use the unit only for secure storage, so cannot comment on its use for audio or video streaming.